… a novel about love, loyalty, betrayal and forgiveness. November 1943. 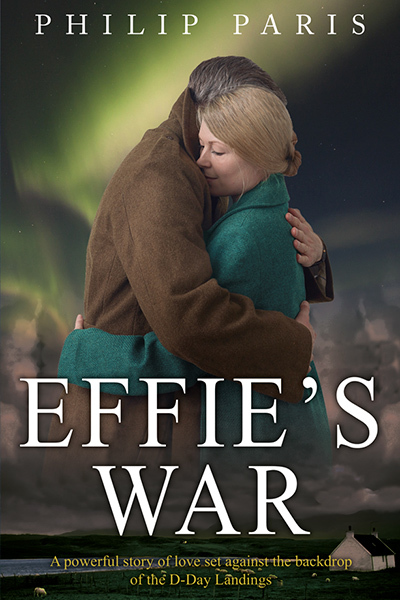 Effie’s father receives an unexpected notice from the authorities to move off his farm in the Scottish Highlands. He is one of around 900 people given four weeks to leave their homes. The arrival of Italian POWs to help process crops leads to a forbidden love between Effie and Toni. No-one is told the full reason for the evacuation. The military want to use a nearby beach to practice for the D-Day landings, one of the greatest secrets of the Second World War. A German spy, living amongst the community, has been waiting for years to unearth just such a secret and take it personally back to the Führer. ‘A wonderful story based on fact. It was so good that I bought the rest of Philip’s books. All great reads. Highly recommended.’ M. Parker. ‘Fantastic read!! Highly recommended! !’ Elizabeth. ‘The story carried me along with its dramatic tension, its loves and tragedies, the beauty and horror that can be family life. I was brought to tears many times …’ Frank A. Merola. ‘One of the best books Philip Paris has written. It made me laugh and cry. Read it in one sitting, couldn’t put it down. Highly recommended.’ Elspeth Blyth. ‘I heard the story years ago of how around 900 people living in the Tarbat peninsula were given only one month to leave their homes, crofts and farms during the November of 1943. People were told the military wanted the land for battle practice. This was not the whole story – they wanted a nearby beach to rehearse for the landings in Normandy, scheduled to take place the following summer. An unabridged audio CD version, read with great skill by David Monteath, has been produced by Whole Story Audio Books. ISBN: 978-1528847544.